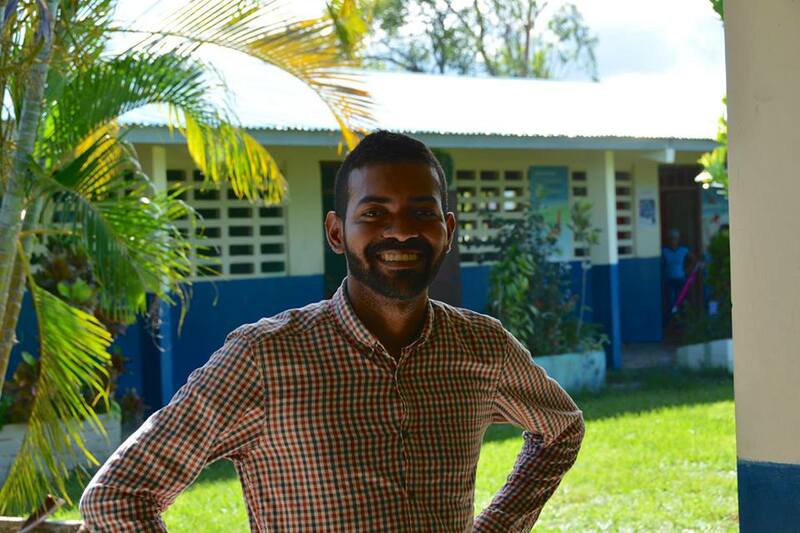 The aim of this campaign is to raise funds for the purchase of materials and supplies for the construction of a multipurpose sports court in the community of La Barriada, in Buena Vista, Colon Province in Panama. 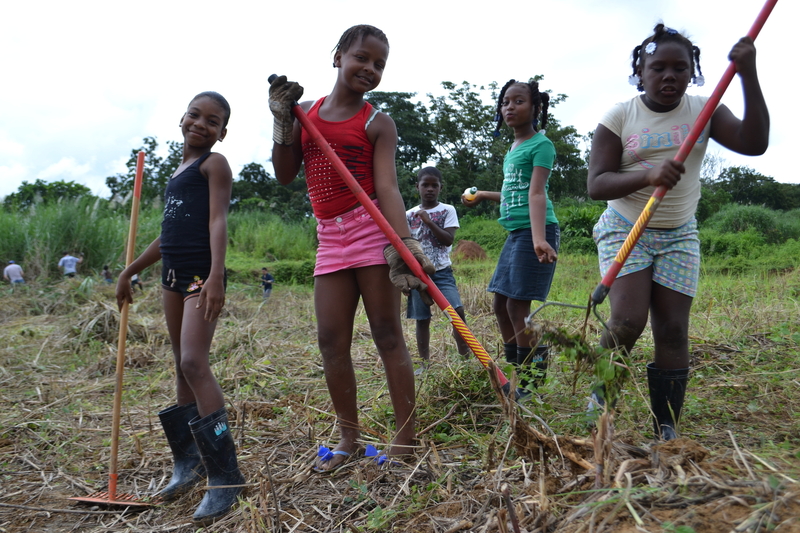 The construction of this field is a joint work of the community of La Barriada together with non-governmental organizations Courts for Kids and Cambio Creativo. The community of Buena Vista are former residents of Coco Solo, along with the ports of Manzanillo International Terminal and Colon Evergreen. These people lived in unfavorable conditions and had almost no opportunity for personal or professional development. 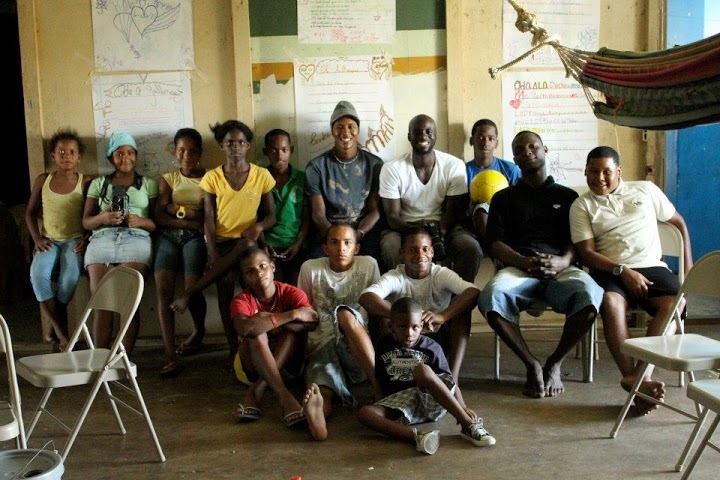 The NGO Cambio Creativo has worked with members of this population in project leadership, education and culture, providing opportunities and spaces to share and develop professionally. 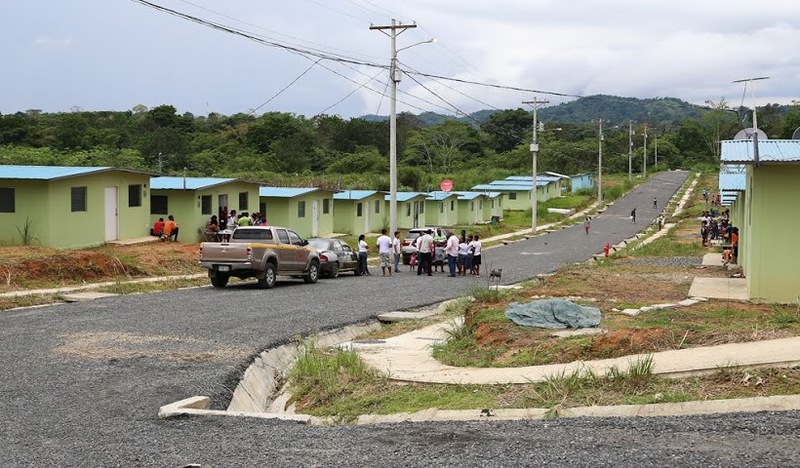 Recently, Coco Solo 50 families have been relocated to the new project of social housing in the La Barriada de Buena Vista in Colon. 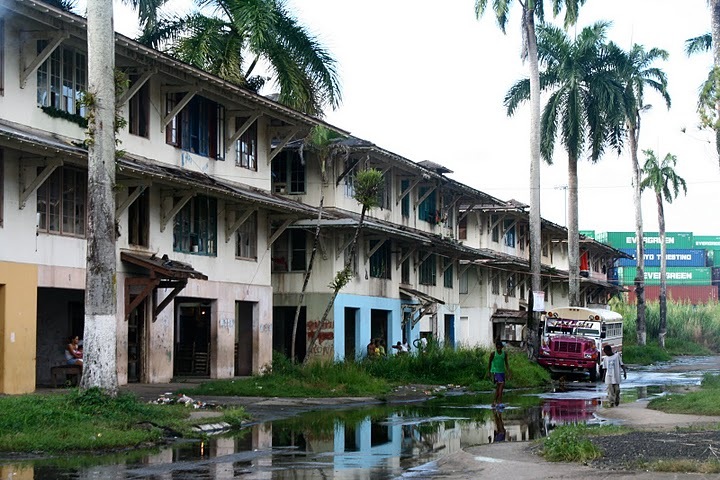 The project included moving the 400 families residing in Coco Solo, but the construction budget was not enough to end all single family homes promised and only about 50 families were moved to Buena Vista. In addition to housing, there’s land for the construction of a community clinic and a police center and community center. 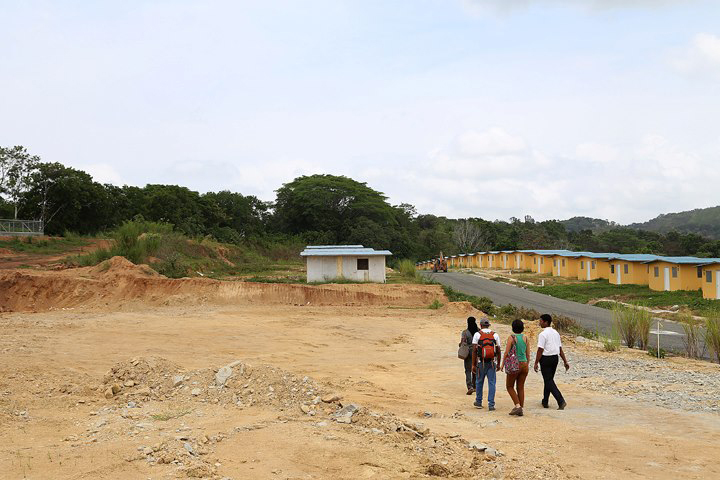 Although the relocation of the community of Coco Solo Buena Vista has been positive since now they have their own houses, there are still homes to be built which may delay finish- years and still no community clinic or police center, or community center. The community also has no parks, or places to practice sports. This is why the community has come together with the NGO Courts for Kids to jointly build a multipurpose court to give a chance to this new community to have a decent space and suitable for sports conditions. Courts for Kids works with communities in each country together with American students. 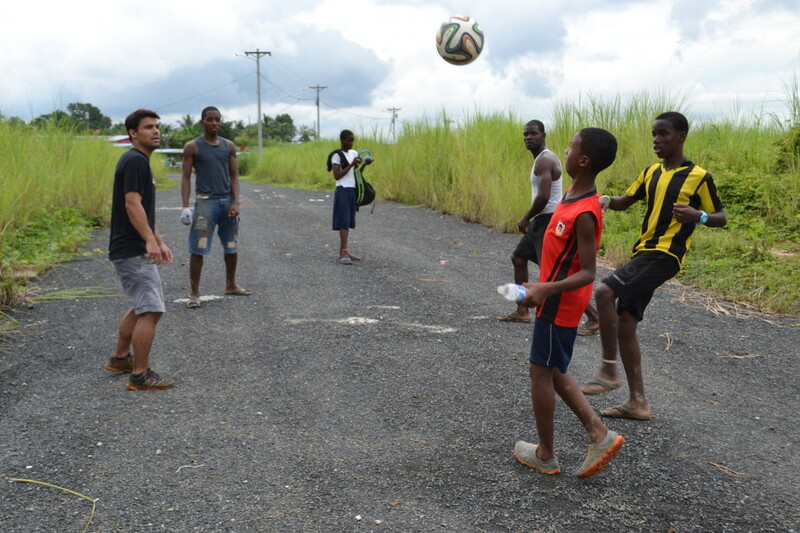 Our teams from the United States collaborate with funds to assist in the construction of the courts in the various communities about 50% of the cost, while living with the people for a week to support in building and sharing a cultural and learning experience. 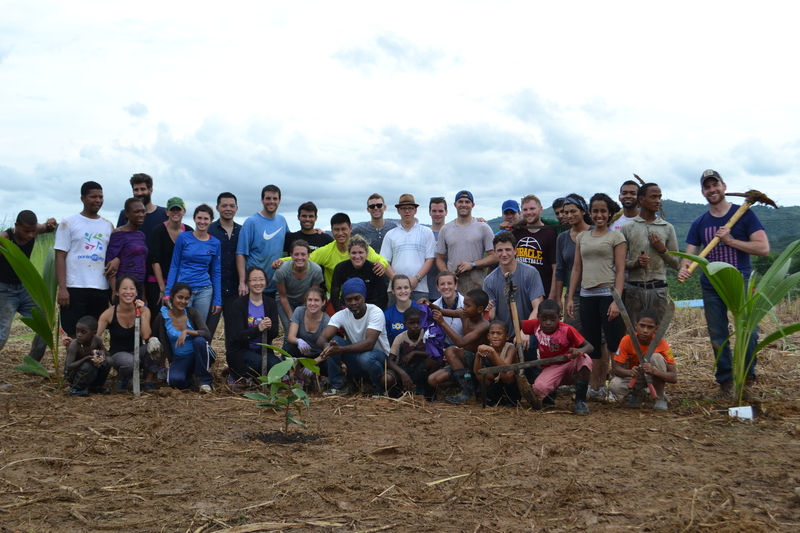 For the court in this community, we already have confirmed the arrival of 16 volunteers Oregon College of Education, who besides collaborating with funds over other implements for construction and sports, they contribute with their labor to this project. The community has a lot of leadership and ownership in this project, but we need your support to make this project possible. This community has been marginalized throughout its history, and has been promised many opportunities that have rarely been a reality, however, these 50 families begin a new life in La Barriada of Buena Vista, have organized to make their own dreams come true. The construction of this field is a very important beginning for them, with the joint effort of this community, Courts for Kids and Cambio Creativo we are making it happen, and with your support we will make this project a success for the community. How your contribution will be invested? The contribution you can give us will be a big boost for the community and the project. And we will use the most optimal way possible. Expenditure on the court include the purchase of steel tubes under futsal and basketball, as well as tubes for volleyball net and labor for welding and transport. The remainder will be used in other materials such as wood tables, strollers, missing bags of cement and building materials. Your support will be allocated 100% to the construction of the court. This project will not only be a court for this community, but a new beginning and a new chance for many community members who have been part of gangs and have fallen into vices. Your contribution will give them a space where they can play sports, also a space where the community can meet, children can play in rainy weather, and community events may be performed in an open and accessible to the whole community space. The community is already working on this project, clearing the ground, supporting the leveling process, organizing workshops and activities to make this project possible.Courts for Kids will guide them through the building process with our volunteers but the community involved are the stars of this project, our volunteers will share and eat with them, and also share their culture with the community, and the community share their traditions and history with them. Similarly, the NGO Cambio Creativo will monitor the project once it completed, organizing community activities in the field and ensuring the proper use and maintenance of the multipurpose court. To provide first choose one of the rewards that are displayed on the right, choose the input method (credit card or bank transfer, the latter only for Panama) and enter your details for payment. After that you will receive an email confirmation of your contribution and immediately it will be reflected on this website. Further, if you want your contribution to be anonymous, selecting the payment method can choose the box where you indicate that you wish your name not be published. Cualquier aporte que nos brindes por pequeño que sea contribuye a esta causa. Pon aquí el monto que desees aportar. Como agradecimiento por tu apoyo ¡podrás participar como voluntario! el día del aniversario de la comunidad (1er añito) que será el domingo 22 de marzo. Incluye transporte ida y vuelta (desde ciudad de Panamá), y alimentación. Será un día familiar y de convivencia con los voluntarios y staff que viene de los US también. Como agradecimiento por tu apoyo ¡podrás acompañarnos el día de inauguración de la cancha!, que será el jueves 26 de marzo. Incluye transporte ida y vuelta (desde ciudad de Panamá), y alimentación. Como agradecimiento por tu apoyo ¡podrás participar como voluntario! el día que se pintará la cancha, que será el sábado 18 de abril. Incluye transporte ida y vuelta (desde ciudad de Panamá), y alimentación.